A classic design for a reason - the hexagonal shape prevents any rolling. 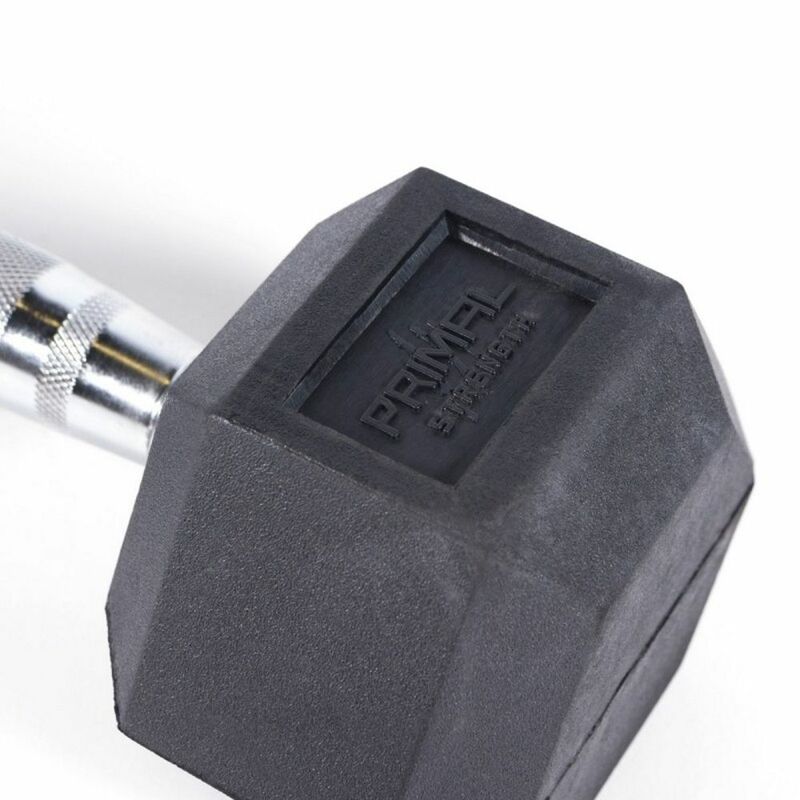 The Stealth Commercial Rubber Hex dumbbells from Primal Strength also come in a range from 1kg up to 50kg per dumbbell. This means there's a pair for everyone, for every exercise. 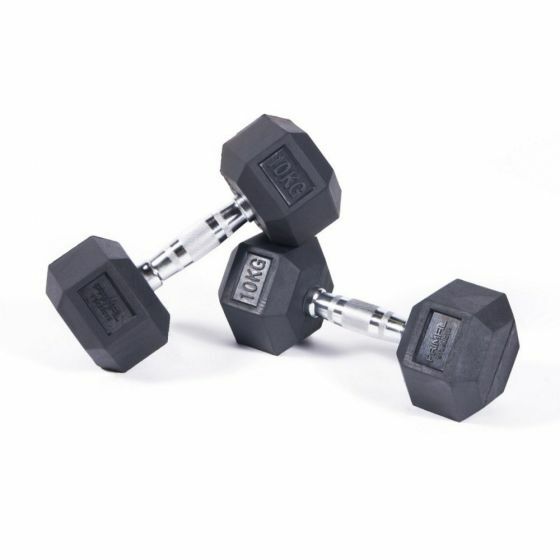 A high quality set of dumbbells that have the knurled and ergonomic chrome grips, the quality rubber ends shaped in a hexagon which stops them rolling and available in a huge range of weights. We also sell these as a pair - making them even better value for money. With the range of weight, these dumbbells are great whether you a beginner or an advanced strength gym user. 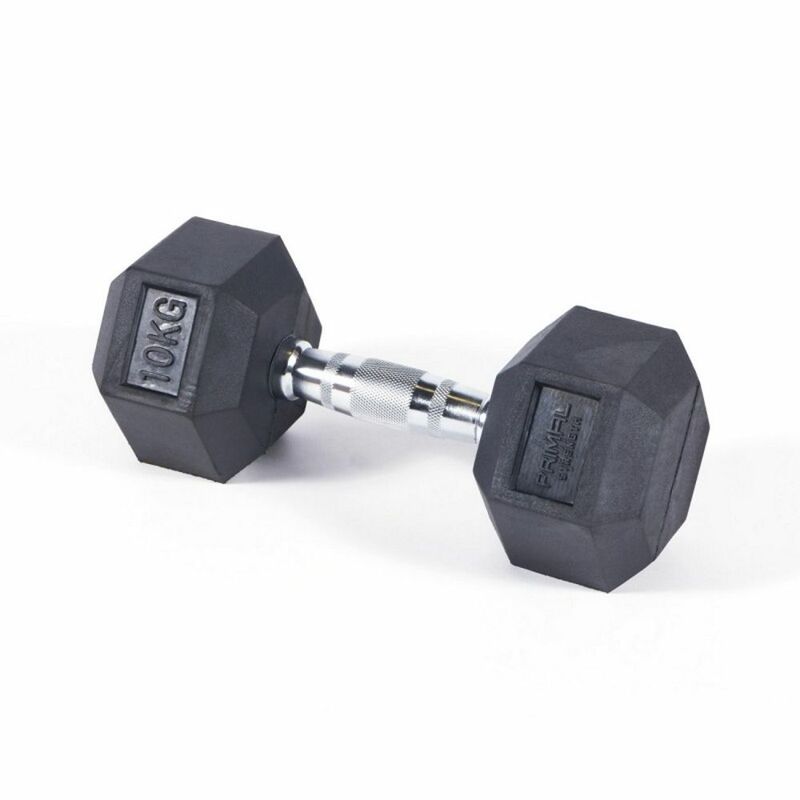 Solid in pairs, whether you choose to buy a set of just 2kg dumbbells, or 5,6,7,8 and 9kg pairs, you're getting a great deal on superb quality dumbbells. Why Are Hex Dumbbells Popular? The 6 sided shape ensures the dumbbells won't roll around on the floor allowing you to put them exactly when you want them say for a circuit workout. With the matt rubber finish they also look gret and can be wiped clean easily. As well as being manufactured to a commercial quality, Primal Strength back this up with a one year commercial warranty in case of any issues. The chrome grips are not only ergonomically designed, you also get the knurled patterns to help when you're sweaty or lifting heavier wieght and need the grip to be more secure.